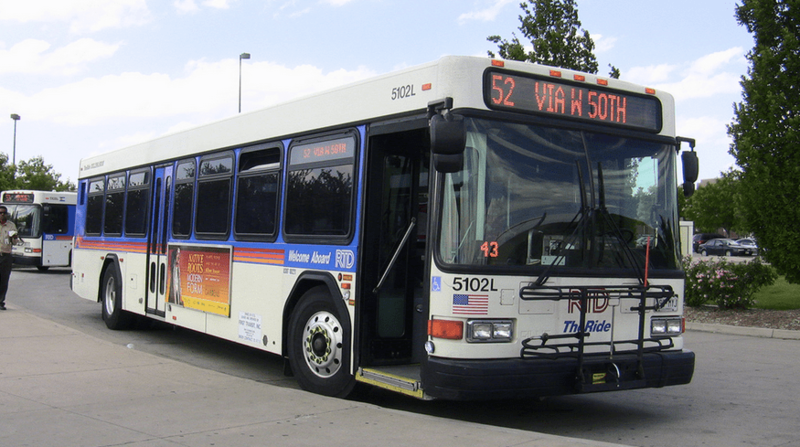 Earlier this year, RTD made a splash when it finally made real-time bus data available, enabling riders to take the guesswork out of when the next bus would come. Currently, real-time data is only available for local and regional bus routes. RTD officials say the agency will launch the service for express and for rail lines later this year. For a while, Transit App was the one company tapped into RTD’s data, but now riders can choose from seven mobile apps. Here’s a look at the options available today. This app is pretty straightforward. It lets you save routes you commonly ride and compare transit to other modes, like biking or carpooling. 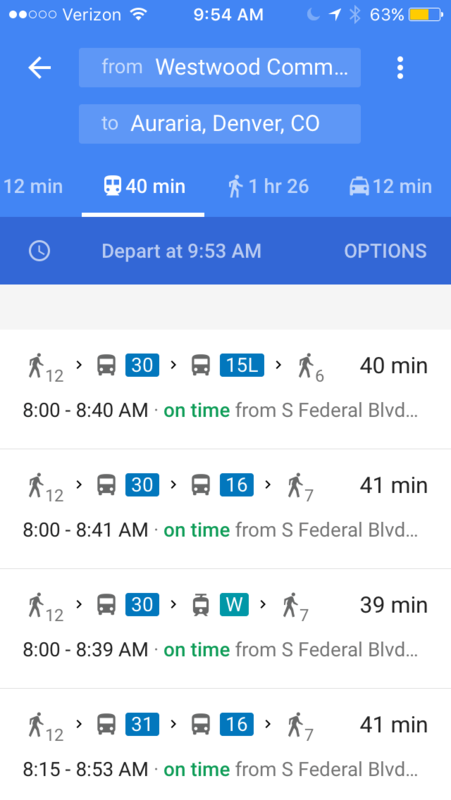 Google Maps’ transit trip planning functions are pretty basic. You can set preferences to minimize transfers or walking. 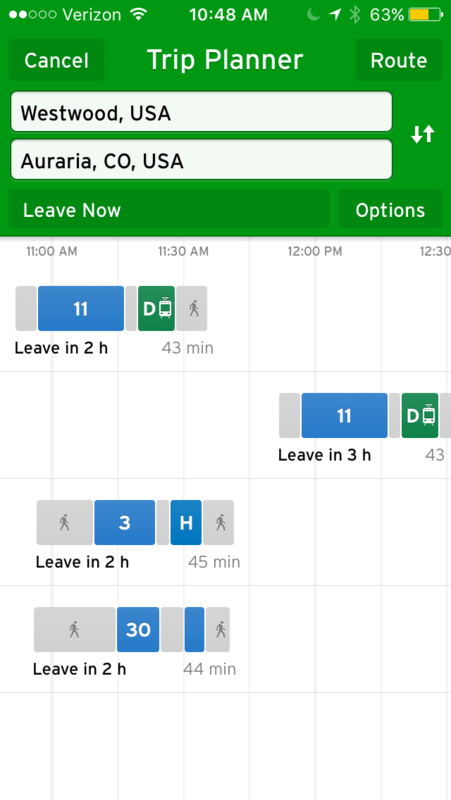 Moovit lets you set favorite origins and destinations, like home and work. 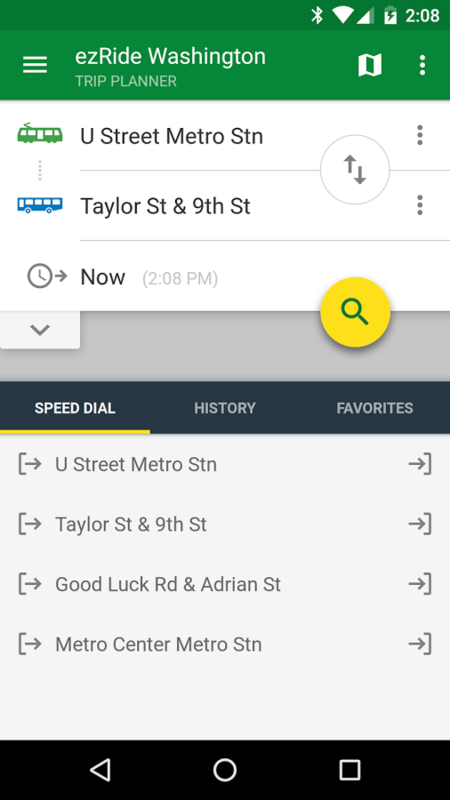 You can also set up alerts for real-time delays and track your bus in real time on a map. 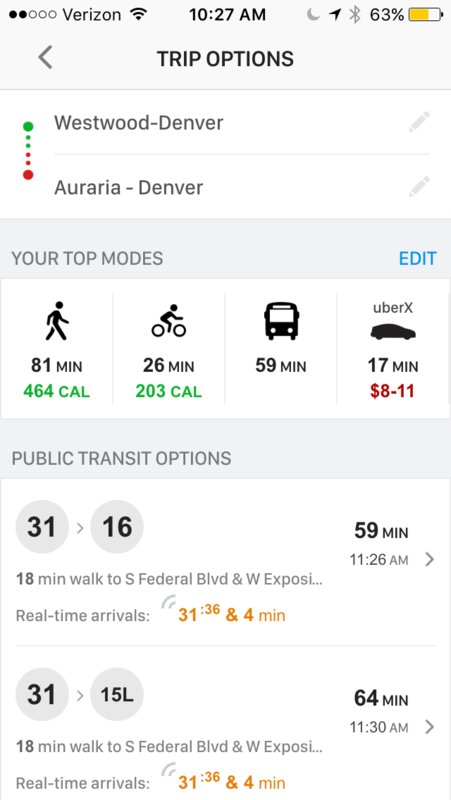 This app claims to be more precise than RTD’s raw data, which it tweaks using an algorithm that incorporates historic bus performance and crowd-sourced information from its users. You can also go multi-modal and have transit trips to include (or ignore) biking or carpooling. 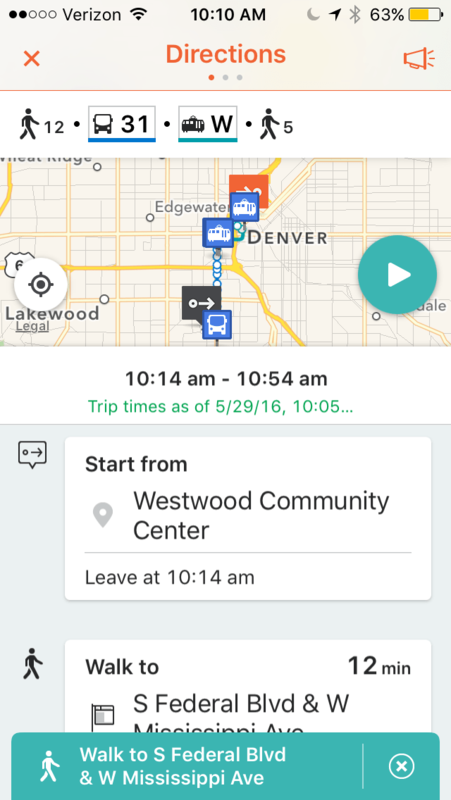 Transit App was the first real-time app to arrive on the scene in Denver. You plan a trip by typing in a destination or by checking out the stops and routes near your current location. You can also track your current bus on a map. This app is for people who like their trip planning information straightforward with few bells and whistles. It shows you various routes to your destination, and includes a map and written directions for your trip. The customizations available with this app enable you to eliminate certain modes, like driving solo or taking a taxi, from your trip planning. 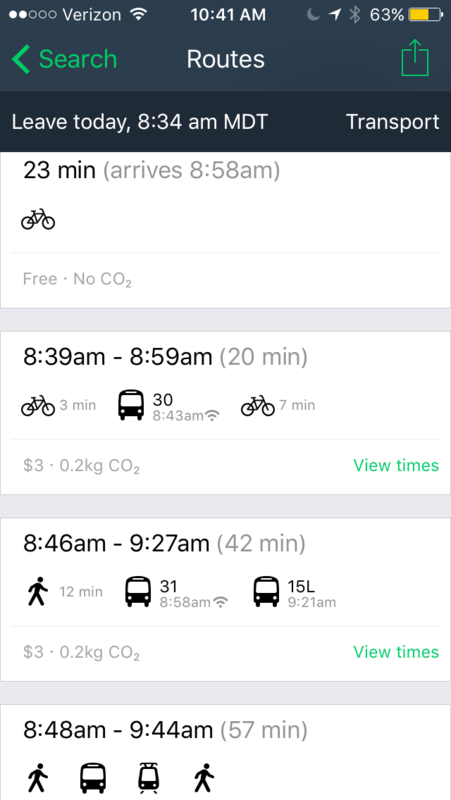 The app also provides information beyond trip time, like cost or carbon impact. This is article was changed to reflect the real-time information on regional buses that is now available. I must give a shout out to the efforts of Transit App. I’ve used their app over the past 3-1/2 years here in Denver and previously in the Salt Lake City area for a number of years. Salt Lake City (UTA is the transit agency) proactively provided real-time data to app developers which was a huge step forward for transit users. 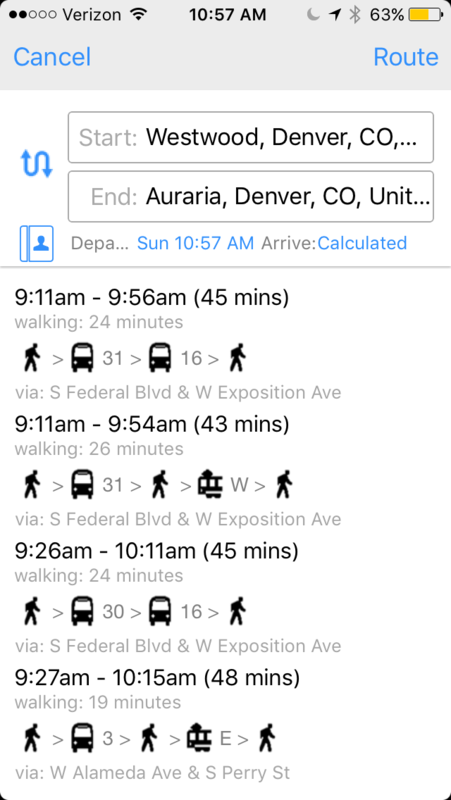 Here in Denver, real-time data has only been available for a very short time (a few months) and the developers at Transit App pushed very hard to get RTD to share such and IMHO deserve some credit in having it available. It’s not perfect and has some bugs but definitely a big step in the right direction. I just wanted to mention my transit prediction website TransSee. It features predictions based on the realtime location, vehicle location, search by fleet number range, schedule adherence, and closeup maps for terminals.